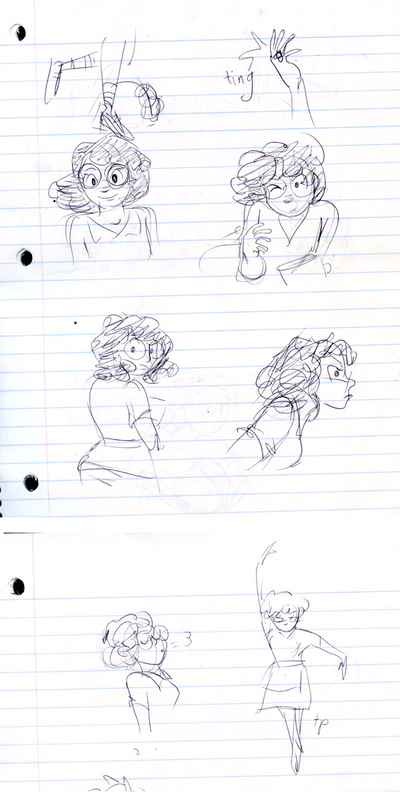 Shaenon: Sketches for an upcoming mystery project that I’m hoping will happen. Channing: Whatever it is, it looks exceptionally charming! Looks like finger cymbals are a b***h to draw. They are ek-zill-erating to draw. Get it? Finger cymbals are call Zills. I think that I see the exit, thank you. Apron, ring, poses… I have a theory. Magical Mom. If I’m right, I will follow this project to the ends of the earth.